Janina is bright, energetic, and above all talented. She is not only an accomplished actress, having been in several television series in addition to True Blood, such as The Gates, the L Wrod and several films now, but she is also a musician and a self proclaimed Internet Geek, and proud of it. In my opinion, she is truly "a renaissance woman" and has her life in full gear! When we sat down for our chat, I started our conversation by asking about what I know all the fans want to hear about, True Blood Season 5. She was quite candid about this upcoming season without giving away too much. From what she revealed, it looks like its going to be an exciting season for Luna and Sam and also for all the shapeshifters. And, another big spoiler she gave away is that she confirmed that this is the "year of the bromance." Janina: He’s awesome he’s a great director. He has this great way of going in your face about the moment and being completely relaxed about it. He doesn't move on ...he doesn't move on unless you, the actor, are completely happy with the take. Most director’s make you THINK they are going off of you, but are really going off of the DP (director of photography) before they move on. Ha ha! Stephen is one hell of an actor, and not surprisingly, he is one hell of a director as well. Janina:Without giving too much away, I've said before that something happens to her that she’s going to have to deal with for the rest of her life and she still dealing with the fact that her husband is dead. It’s not like he was just human or a shapeshifter but he was a wolf and an “Alpha.” An Alpha dying within a pack is a lot to deal with in its own way and we’ll see some of that and what that means. Janina: Both of my parents are from India, and my mother is half Dutch and Luna is half American Indian. I do research on every character that I play and it’s not just an ethnic study. Do Irish people only play Irish people? And, if they play someone Italian do they have to do more research because they are Italian? Maybe, maybe not. But, I talked to just as many American Indian people as I did teachers. These are all the things that make up a person; nobody is just their ethnicity. And she is a mother too, and by the way, I didn't know that she was a mother when I got the part. I think its episode 3 that she is revealed to have a little one, I was like “what, she’s a mom?” And she was even a single mom. That was a lot more back story to make up. So, I did a lot of work on Luna. 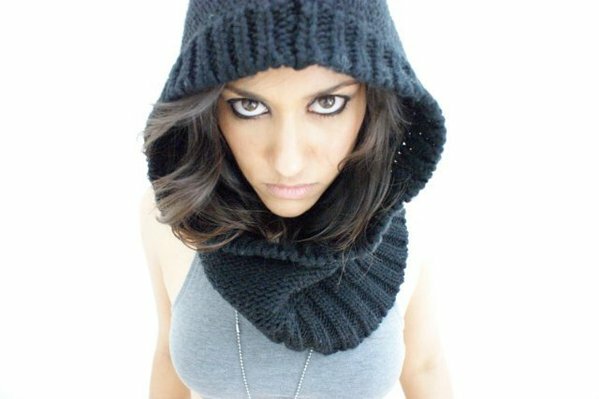 Janina: The end of last year, I created a template for artist and actors to use. Do you know this? Yes, on Posterous. I created this because I feel that everyone in the public eye should have an easy way to be able to control their online persona and presence. There really was no tool for that, which infuriated me, so I just made it on my own. As the years go by there is always going to be apps, new platforms and ways for people to connect so, it’s kind of like finding the one that can apply to all, and right now Posterous is doing that the best. They just sold to Twitter, so I was like, "Ah ha, I told you so." Lynn: You've certainly been promoting them, that’s for sure. Janina:Yes, absolutely, but “all in due time.” I've produced shorts and I have many a talented friend and I’m the first person to show up and help at any moment. I've produced my own music video and with my very talented friends, Caitlin Pashalek and Ian Lyman and, Ian is a technologist as well. I’m up for anything as long as it’s a challenge and I've never done anything like it before. Lynn: You went to the Dallas Film Festival for the premiere of Satellite of Love and you've been to other film festivals right? Synopsis: To atone for his absence at their wedding, globe-trotting and hard-partying musician, Samuel, invites his best friend Blake, a successful chef, and Blake's new wife Catherine (with whom Samuel has previously shared both a bed and a bond) to idyllic Nadi Vineyards for a week-long party in paradise. Samuel imports hottie, cosmopolitan DJ, Michelle, from Barcelona to stir the pot and as the wine flows and records spin this complicated, revolving love amongst young "adults" is thrown out of orbit. Satellite of Love stars Nathan Phillips (Wolf Creek, Surfer Dude), Zachary Knighton (The Hitcher, Happy Endings), Shannon Lucio (The OC, Prison Break) and Janina Gavankar (True Blood, The League). Janina: I just finished a film called, “I'm Afraid of Virginia Wolfe." This is not the play “Who's Afraid of Virginia Wolf,” this is a film within a film within a film. We re-enact Virginia Wolfe. We basically do a super-bastarized version of Virginia Wolf in this film. It’s amazing. And the cast is Guinevere Turner. Guinevere pulled me into it. Guinevere, who wrote American Psycho, was one of the writers on the “L” word and that’s how I know her. She was signed on to do it and then she called me and said, by the way, Carrie Preston is in this movie. And, Carrie has amazing taste, she is a filmmaker, and her film did so well at Sundance (That’s What She Said) and we also have the same managers. So, I went to my managers and said, tell me about this project and they said, well Carrie likes it, so OK, well that’s all I need to know. Recently, I had the great pleasure of meeting Adina Porter at an party in Hollywood. I remember seeing her first as her character "Lettie Mae" in True Blood and since have seen photos online of her, but I was amazed, when I met her, at how she transforms herself from the exquisitely beautiful woman she is into the drunken, self-obsessed and crazy Lettie Mae Thornton on True Blood. After talking together for a while, I asked her if she would be willing to grant an interview with The Vault and she said, "Yes." When investigating her career in preparation for this interview, I was amazed by the amount of work she has done. 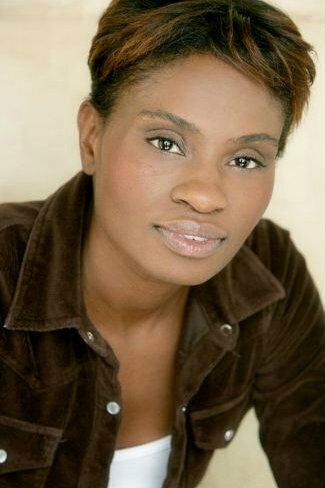 Not only is she an experienced actress in Hollywood, but she also won an Obie Award (Off-Broadway Theater Award) in New York for her performance of Venus Hottentot in Suzan Lori Park’s play, "Venus." We will see her again in Season 5 of True Blood, but her newest project is HBO's "The Newsroom" which looks like it's going to be a really good and interesting show. It premieres in June and there is more about it and a video of the trailer at the end of this interview.
" I had no idea about Gone with the Wind, all I knew was that she was a church member who had a really high squeaky voice. I’m talking about elementary school. It wasn’t really formal, it was more like dance class, acting class and cotillions; just activities. I didn't know who she was until quite later and after church were those classes, that was it." She is originally from New York, and after a teacher in Junior high school, Mrs. Simmons, suggested she apply to the famous High School of Performing Arts, she got in. I asked her if she was one of those "FAME" People, referring to the film by the same name, and she replied with a very proud, "YES, I'm one of those fame people." I was in NY, Hartford stage in Connecticut, a SAG (Screen Actor's Guild) job in Texas working with Bill Irwin for American Masters. I also got a chance to work with Arthur Miller doing “The Ride Down Mt. Morgan” at Williamstown. And Williamstown is a theater camp and I got to work there with people like Patty Clarkson and Philip Seymour Hoffman. You’re up there in the woods reading plays and doing stage readings at night. You might have gotten a stipend and free food and board, but who cares, you’re working with someone like Arthur Miller and every once in a while he would say something like “Then Marilyn [Monroe] said...” and there was a hush in the room. That’s a really good question. I can definitely see personal growth in that I used to tie my “self worth” with having an acting job and that’s a really dangerous thing to tie your “self worth” to when you have no control over it. I've definitely gotten better in that respect and I can definitely go further, but that doesn't make for a very good spouse and mother, but I work hard on keeping that in check. I have grown to a point where I can say; well if I didn't get this job, that’s OK because I’m means I was supposed to be available for another job. Just then, Adina’s husband chimes in that if you don’t get a job, it’s not necessarily about you, but about the project. Adina then said, there’s a great line from Hamlet that says, “The play’s the thing.” However, every once in a while I do an audition where, my manager has this expression, "where your throw up on your shoes." It’s so bad, whoa, where did that come from, I just went back 20 years. [That's when] it’s upsetting because the people in the room put you in a bad place. I just chalk that up to amazing sports athletes, sometimes even Coby Bryant has a bad night. What I like about that is that it means that I’m not a robot, it’s human it happens and sometimes it doesn't and you just let go. For independent films, I’ll look up who the director is because I might get a clue on what he might be looking for by seeing what kind of work he’s done, but I didn’t look up Alan Ball. I don’t remember if I knew his name. It being HBO and Junie Laurie Johnson, I knew that I had to prepare to do my best work no matter what. One of the ways I keep the audition process in check is not Googling who you’re going in to see because you can get intimidated by reading for people who win Oscars. So, I didn't know that walking into the room. Personally, I was pregnant at the time. My husband and I wanted very much to start a family and other pregnancies at that time were not very healthy. And, I remember saying to myself in the waiting room that getting bad news about a pregnancy is a big deal, this audition is not a big deal. I remember I was the first one up. I would say there were 8 women in the room, at that time, but that doesn't mean there weren't more during the rest of the day. [For this audition],I went in and the casting ladies were there, Alan Ball was there and one of the directors was there. It was a scene from Season 1 where Lettie Mae goes to speak at the funeral of Sookie’s grandmother. I did it and I remember being “off book.” [This means that] I try to know the words so I don’t have to break character by looking down at them. One thing I try to do is to learn the words, especially if you are auditioning for the screenwriter because you don’t want to be messing up their words that they've slaved over. Alan gave me the note “could I be more drunk?” Then afterwards, I asked him “did I take the note?” Did I do what you want me to do because if not, let me try to do it again. I’ve learned that because sometimes, it’s a guessing game, and you don’t need to guess if you can get some feedback. He said, "No, that was great." And I remember making the joke, “Good because I play high a lot more often than I play drunk.” I’m constantly playing a crack addict or a heroin addict and I didn’t play alcoholic that much, then. I laughed and left the room. I try to stay in the character, but only on the set. I might read a novel likel "The Child Called It," I remember reading that. It’s a book about a boy who was abused by his father and his stepfather in this horrendous way. They didn’t refer to him with his name, but referred to him as “it.” Reading things like that help me to stay in the realm of an adult who feels really horrible about themselves and children are such an easy target to take out ones frustrations on a kid. 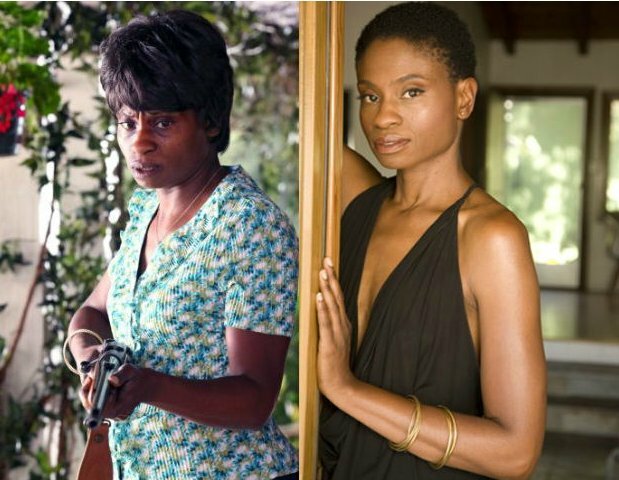 See Adina's promo reel of True Blood and her other performances here and here. 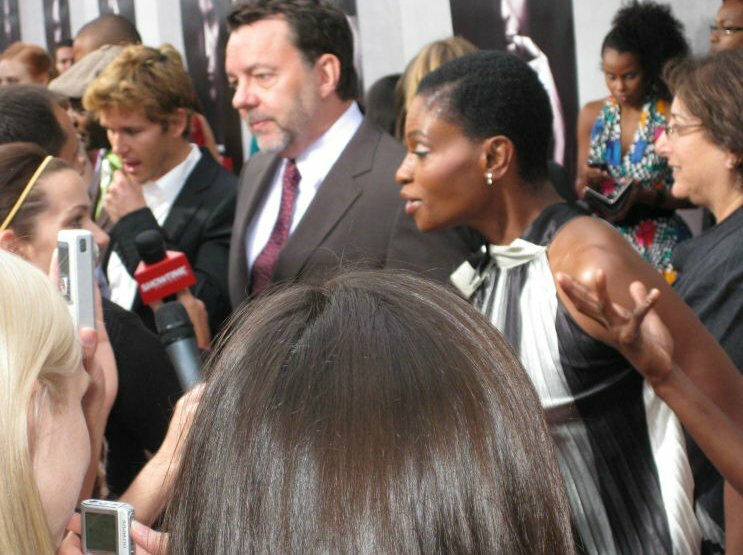 Is there anyone that you've worked with on True Blood that you've learned from? On the Newsroom, the Aaron Sorkin project I’m working on now, it’s very conversational, quick wit, and we’re playing ourselves, so, it’s easier to be talking about something else and then go right into the words. And, when you’re also dealing with having to be drunk, having a lot of self hatred and all the ugliness, I've learned to try to keep in check. You know we all have our own insecurities and with Lettie Mae I sort of let them run wild. I can’t be chatting about the weather and then go into that. I certainly am functional and polite on set, but I answer questions on the set in my accent and just try to stay quiet and in the realm. I’m going to say, I don’t think if Lettie Mae won a lottery, she would be happy. There isn't a lot about Lettie Mae that is said in the novels, but I think that one thing that is mentioned about her is that Tara’s parents should have never been parents, and I think that’s just so incredibly right. No, because I have a 5 year old and a 19 month old, so as soon as I walk in the door, the conversation changes and my son is telling me what I've missed and my daughter tells me what she needs. With that you’re just exhausted. I love Alan Ball. 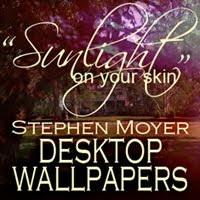 I so admire, I mean, I loved American Beauty and I treasure being a part of his well crafted world. I’m on cloud 9 that I've worked for Alan Ball, that I’ve worked for Aaron Sorkin, that I’ve worked with really amazing writers and I know how great that is because you can look at my resume and I've worked for some writers and situations where maybe they weren't putting as much effort in it as Mr. Ball or Mr. Sorkin put in it. 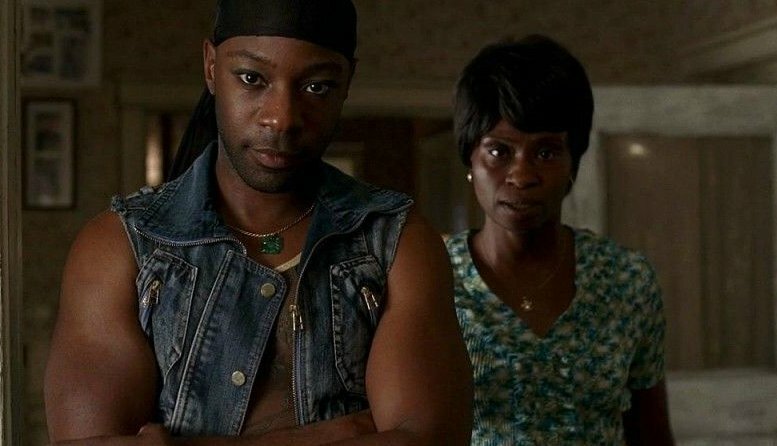 And, I remember a couple of times just being happy to be back on True Blood, where in other situations I have to say the words and it’s just like choking when I have to say them and have them sound real as they come out of my mouth. So I am very respectful of Mr. Ball and I’m so happy that I have him as a fan of mine. Yea, that’s another show that I really enjoyed watching , but I couldn't watch it because I’m such a wimp. I cover my eyes on True Blood even though I see it made. The description of my character, Sally Freeman was that she was the most boring woman in the world. At that audition, I wore this lime green shirt because I didn't like it very much and I only bought it because it was my McDonald’s Mom Shirt and I hated the shirt. I didn't like the way it looked on me and I wore it because it made me feel not very attractive. I remember at the audition another actor looked at me and said, “She’s supposed to be the most boring woman in the world, why are you wearing green?" That other actress was wearing black and all the other actresses that were auditioning for the role were also wearing black, so I might have only gotten the role because I was wearing lime green. I’m very excited about it. I’m a political junkie so to get paid for being a political junkie is pretty awesome. I play Kendra and I’m the “Booker” on the show and it’s about the working of cable news, like a CNN. What gets on the news, what doesn’t get on the news, and how are things interpreted once they get on the news. I think it’s very entertaining but also very eye opening about news and entertainment. We are dealing with real characters, politicians that we vote for, that we don’t vote for, that we’re thinking about voting for. It’s a lot of fun, but it’s also quite a few times when they are talking about a particular news event and they’ll talk about some deeper aspect of it that you would talk about in the bullpen of the newsroom when you are deciding what information gets told and how it’s getting told. I say to myself, wow, I didn't know that, I didn't hear that piece of news and if I had that piece of information I would have had an entirely different take on that particular news story. So, the show is going to be an eye opener to us as citizens about how we get our news and what in the nation is being shared. My husband is self employed; he is a professional dog trainer. He goes to people’s homes and works with their dogs so that they don’t get mix messages from their owner and solves problems that people have with their dogs chewing up shoes, etc. He’s been doing this for about 25 years; about the same amount of time that I've been acting. So, we built our careers first. Our careers and clientele (he doesn't advertise at all; it’s all referral) and for me now, too its people basically know my work and my agents and managers field the auditions that come in so we built everything first so that we have the freedom to be full time parents. When I’m not working I’m home with the kids and when he’s not working, he’s home with the kids. So we both get to be stay at home parents. We also have rental properties, so that we have secondary incomes. My first acting teacher, Butterfly McQueen died in a fire. Her kerosene heater fell apart and she died in the fire so that’s a horrible way to go so that also meant that money wasn't coming in, that you had to use kerosene to keep warm. I remember doing theater back in New York and going to Actor’s Equity and seeing a bunch of senior citizen actors hanging out and I remember saying to a colleague “that’s so cool that they come here and hangout.” And she said, “Adina, there homeless and come here in the day because they don’t have a place to be. When I saw that, I started my IRA.